The World’s Most Vulnerable Children —Burden or Precious Resource? Video: Jenny Bowen on ABC News. Video: Jenny Bowen Speaks to Fossil Group. Video: Jenny Bowen on the Today Show. Video: Jenny Bowen on PBS NewsHour. Jenny Bowen is the CEO and founder of Half the Sky. A former screenwriter and independent filmmaker, Bowen founded Half the Sky in 1998 in order to give something back to her adopted daughters’ home country and to the many children then languishing behind institutional walls. 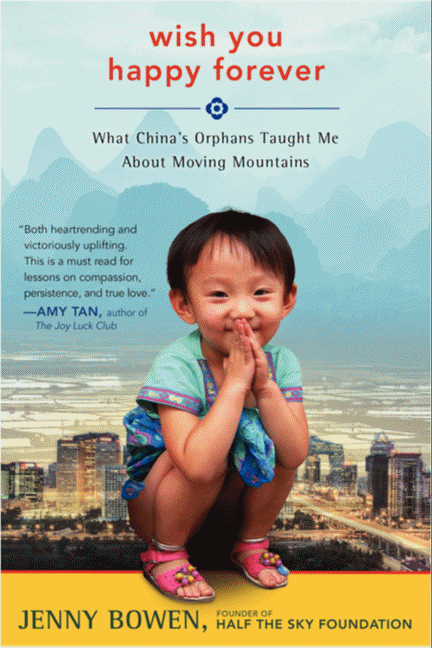 Bowen recently published Wish You Happy Forever (HarperOne), which chronicles her personal and professional journey to transform Chinese orphanages - and the lives of the neglected girls who live in them - from a state of quiet despair to one of vibrant promise. Bowen is an excellent speaker for universities, libraries, multinational corporations, and women’s groups. In Wish You Happy Forever, a fish out of water tale like no other, Bowen relates her struggle to bring the concept of “child nurture and responsive care” to bemused Chinese bureaucrats and how she actually succeeds. Five years after Half the Sky’s first orphanage program opens, government officials begin to mention child welfare and nurturing care in public speeches. And, in 2011, at China’s Great Hall of the People, Half the Sky and its government partners celebrate the launch of The Rainbow Program, a groundbreaking initiative to change the face of orphan care by training every child welfare worker in the country. Thanks to Bowen’s relentless perseverance through heartbreak and a dose of humor, Half the Sky’s goal to bring love the lives of forgotten children comes ever closer. 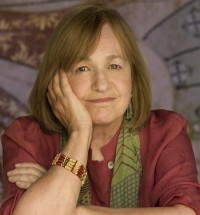 In 2007 Bowen was awarded the American Chamber of Commerce’s Women of Influence Entrepreneur of the Year Award in Hong Kong, In 2008 she received the Skoll Award for Social Entrepreneurship, she carried the Olympic Torch on Chinese soil, and in the same year Half the Sky became one of only a handful of foreign NGOs officially recognized and legally registered by the Chinese government. She serves on China’s National Committee for Orphans and Disabled Children and on the Expert Consultative Committee for Beijing Normal University’s Philanthropy Research Institute.